This summer appears to be a busy time for 70-year-old architect Bernard Tschumi, at least in terms of exhibitions and publications. He has a major retrospective at the Centre Pompidou in Paris (closing July 28), an exhibition at the FRAC Centre (until October 8), and no less than three books are being released, one of them from the Pompidou on the retrospective and two of them from the publisher Artifice Books on Architecture; the latter books are discussed here. 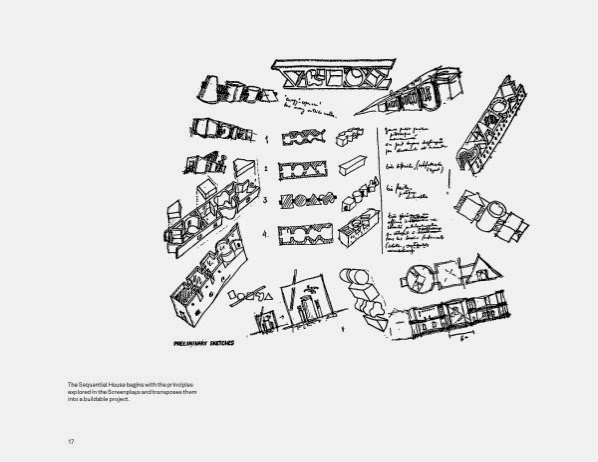 In the preface to Notations, a collection of Tschumi's drawings on over 40 projects, the architect clearly states he never uses the word "sketch," only "notation." The difference may seem negligible, but it has as much to do with attitude as with semantics. 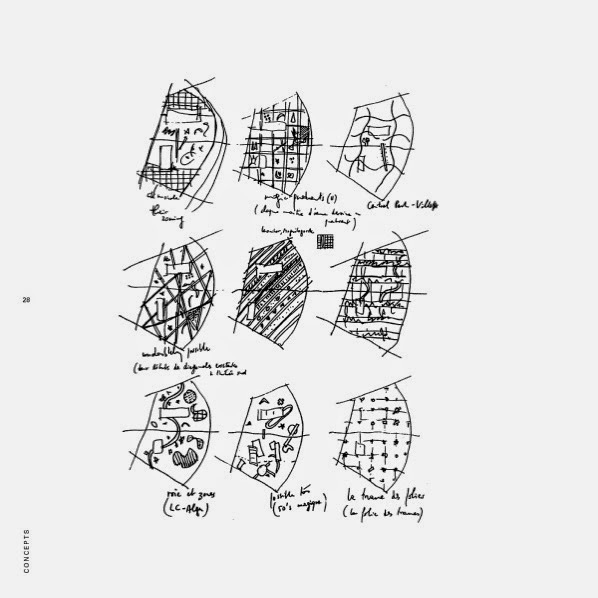 For Tschumi sees his drawings – done with his sketchbook (notationbook?) balancing on his knee rather than flat on a table – as "a form of notating the mind's activity." The combination of drawing in a relaxed manner anytime and anywhere (in a taxi, on the subway, by the pool) and seeing drawings as a way to articulate thoughts (get them out of the mind and onto paper) leads to a prioritization of idea over aesthetics. 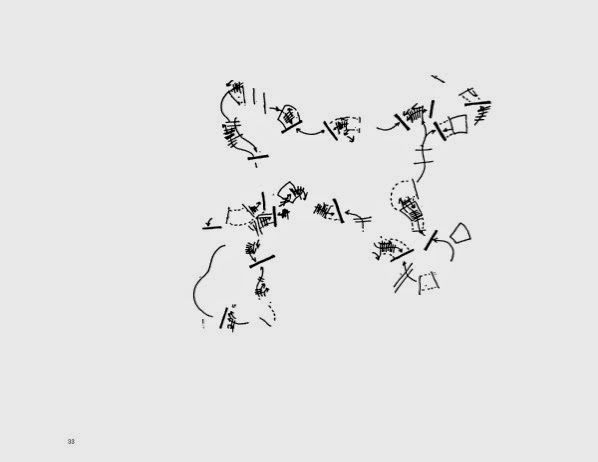 Hence notation, like a shorthand for ideas and concepts, over sketches, often associated with envisioning what a piece of architecture looks like. 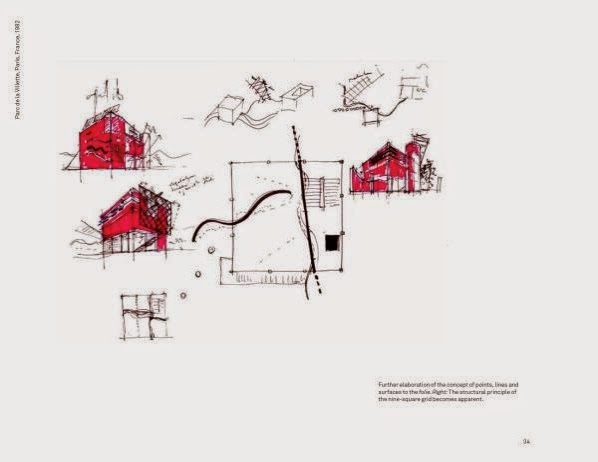 But further elaboration, particularly in concern to the red folies that dot the park (image below), follows, and here we see Tschumi using drawings like other architects, to flesh out ideas of form and appearance. 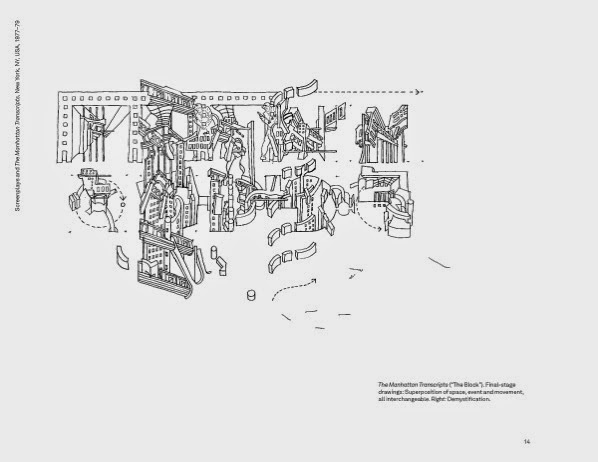 Tschumi is aware of this, as he states in the preface that the book "is not intended to celebrate the fetishism often associated with the architectural sketch, but rather to demonstrate the conceptual sequence that makes up the architectural project." The more than 300 drawings that convey this conceptual sequence are arranged chronologically – by start date of each project, it should be noted. There is a consistent hand throughout the book, though it is a bit more relaxed in the later projects, perhaps inadvertently expressing the reliance on younger architects in Tschumi's New York/Paris offices to flesh out the architectonic details beyond the parti stage. Whatever the case, very few architects will have their sketches/notations put into book form, and this one is as strong an argument for hand drawing as any "fetishistic" account of the still important skill. 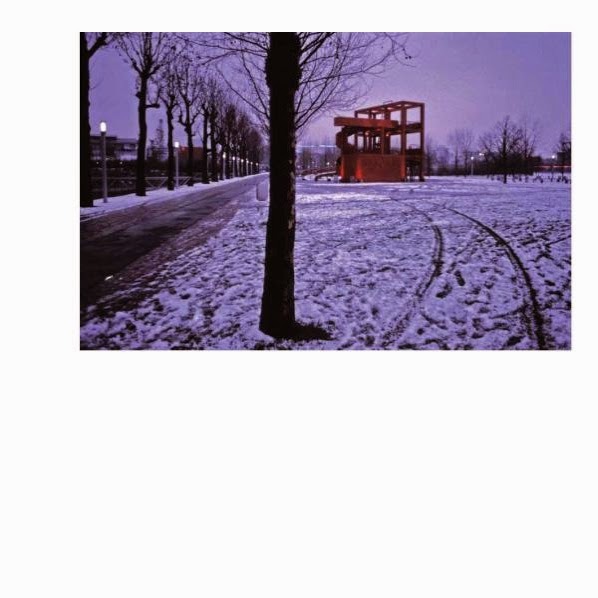 There are 40-odd more projects in Notations, but whatever buildings Tschumi has subsequently been able to pull off in his career, he will always be known for Parc de la Villette (is it any wonder red defines the architect, his website, his publications, etc.?). Completed in its entirety 16 years (!) after winning the competition in 1982, the park can be considered 15 years old or 30, depending on one's view. 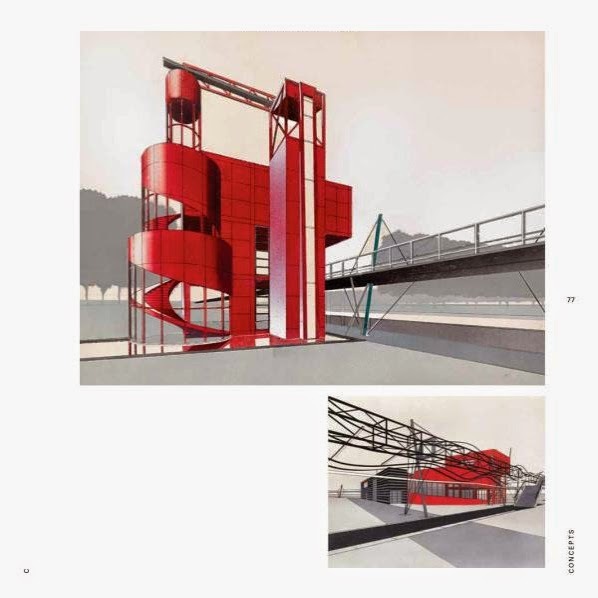 Tschumi's ideas, while harking back to Constructivist architecture, were definitely a departure from the Postmodernism prevalent at the time of the competition. 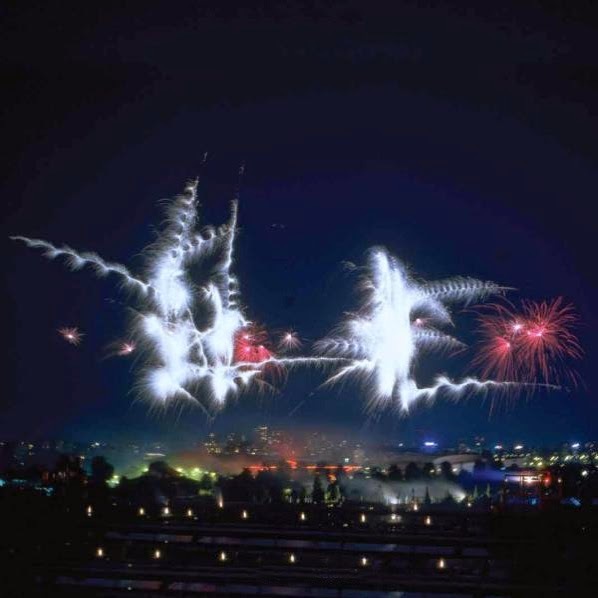 But 16 years later the "style" of Deconstructivism and the influence of Jacques Derrida's Deconstruction had waned, making the park as much a relic of its time as a forward-thinking "urban park" for the late 20th century and beyond. The book, which takes on a large, square shape akin to the grid of the folies and the red panels that cover their surfaces, is arranged conceptually rather than chronologically. The book is not so much a story about the project's realization (there are no troubled politics or construction photos – well, only three small ones – to be found) but a narrative of its ideas. Chapters are, for example, "Points Lines Surfaces," "Systems and Superpositions," "Concept of the Folie," and "Cinematic Promenade." A good chunk of the book is devoted to the red folies – the points – each one labeled (L2, L3, etc.) and documented with a photograph, plans and elevations. Each one also includes information on how it is used, something that gets at the original Deconstruction-inspired idea of the park, where meaning (program) is not absolute. A given form does not have a given program (and vice versa) in Tschumi's park, so some of them evolve over time, such as N6, which initially served as a gardening center, and subsequently was used as a restaurant, children's workshop and now park offices. The voluminous collection of drawings, renderings, photographs and essays (by Anthony Vidler and Jacques Derrida) makes the book a similar document to Notations. It "demonstrate[s] the conceptual sequence that makes up the architectural project," but in this case on one career-making and -defining project rather than many projects over a long career.